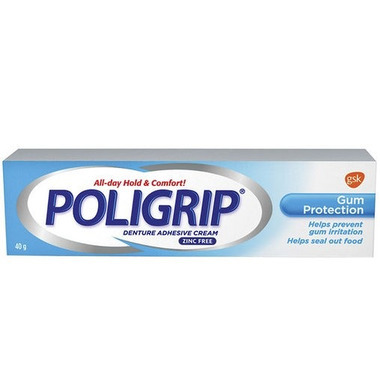 Poligrip Denture Adhesive Cream helps keep food from getting stuck underneath your dentures and provide a strong hold that lasts all day long. Plus it offers the unique, patented Ooze-Control Tip® that helps you apply a thinner strip of denture adhesive so it’s easier to apply with more control and less ooze. You can place denture adhesive right where you need it most. Product lasted about 3 hours for me. Works well, but not as good as Super Poli Grip Extra Care, which is currently unavailable in Canada, Hopefully it will be on the shelves here soon.